Vodafone UK first to stock Nokia N900? Nokia N900 coming to Vodafone? 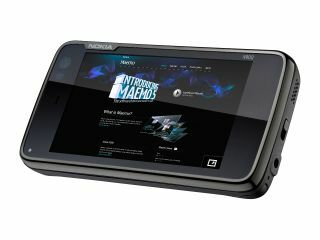 The much-hyped Nokia N900 handset has finally started shipping, and it seems that Vodafone may be the first to announce it in the UK. We've contacted all the UK networks, with all of them saying that there's nothing to announce - although O2 said is has 'no plans as yet' to stock it. However, it seems likely Vodafone will be the first to announce the device, if its forums are anything to go by. While stopping short of announcing it to the hordes of enquiring fans, the eForum team are constantly asking people to keep an eye on the 'Coming soon' page, which is a big hint the red network might be the first to announce it. Also Vodafone Ireland has confirmed it's bringing the N900 to its shores, making it very feasible that the same phone will land in the UK shortly too. Add to that the fact that Maemo, the phone's OS, is based on Linux (much like the recently launched Vodafone 360 handsets, the H1 and M1) and it's not too big a jump to assume it will be Vodafone to launch the N900 first. One network that is unlikely to be launching it, at least in the short term, is 3, after it emerged that the SIM-free device Nokia is shipping is incompatible with its SIM cards in the UK, although a software update to sort this is being released soon.